A Los Angeles cliche: everyone eats healthily. And while this stereotype might ring true, who cares! Healthy snacking is something to be proud of. It is no surprise that some of the most innovative and delicious new health food brands are born out of LA. Of course, in part, this is due to the wellness focus of the city. But California has always been a pioneering state so it makes sense that Angelenos are putting their enterprising brains to work on making healthy, clean food absolutely delicious, (and really pretty, too)! Here are some of the best and brightest in LA-based snack foods. 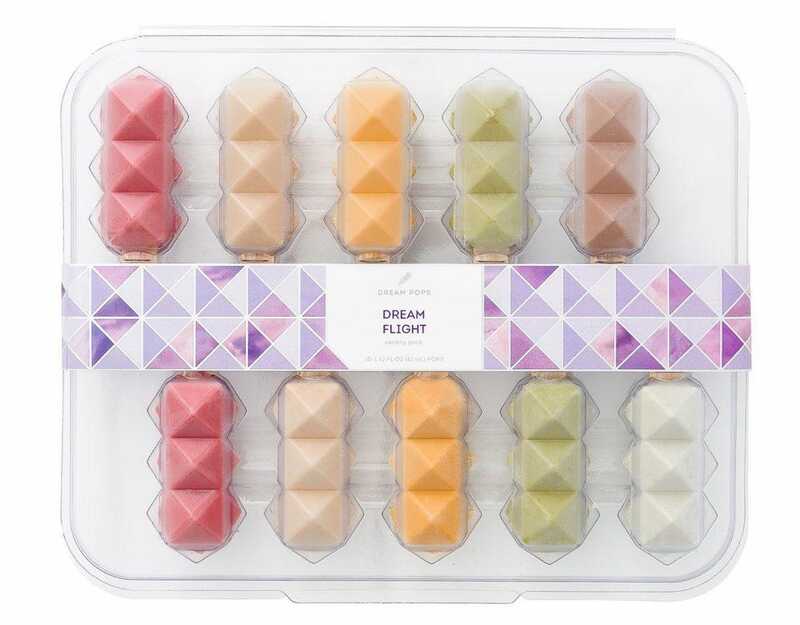 Aiming to be the Willy Wonka of plant-based indulgences, Dream Pops is the first superfood ice cream on the market to leverage proprietary technology, design, a three-star Michelin chef, and plant-based ingredients to rethink the notion of traditional ice cream. All Dream Pops are vegan, less than 100 calories per pop, less than seven grams of total sugar per pop, only use coconut blossom sugar, have zero artificial flavors, dyes, gum, or corn syrup, and are dairy, gluten, and soy free. (And they also taste really good.) Blending innovative design with endless imagination, Dream Pops harnesses unique proprietary technology capable of 3D printing any shape. Pulp Pantry is creating nutritional abundance from what would otherwise be wasted ingredients, like organic juice pulp. The company is on a mission to build a better food system: one that’s healthy, sustainable and accessible to all. Juice pulp is their “hero” ingredient and contains all of the fiber of whole fresh fruits and vegetables, and is currently what goes into making the company’s signature, plant-based Granola Bites. Another added bonus: with each pound of pulp they upcycle, they save 38 gallons of water from going to waste. MAGIcDATES founder Diana Jarrar grew up eating dates—aka nature’s candy—and wanted to create a clean snack that utilized the nutrient-dense and sustainably-grown fruit in all its glory. 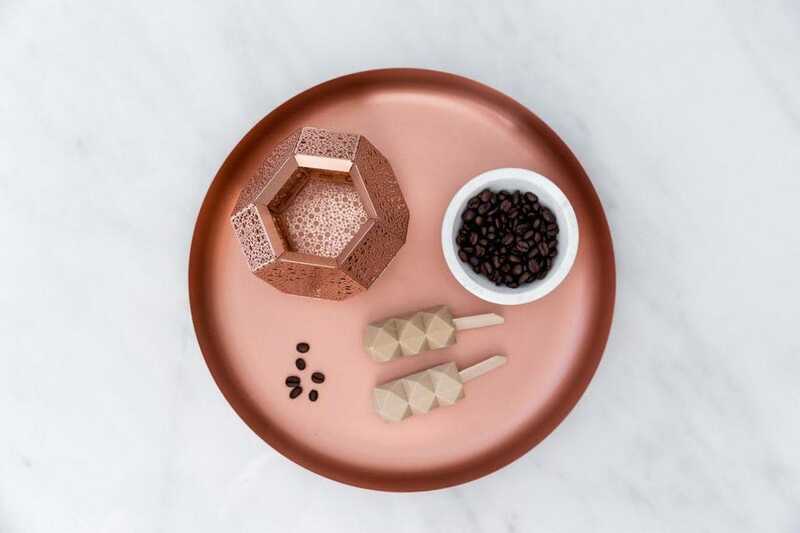 Plant-based and gluten-free with no added sugar, these bites are perfect as a treat but also satiating throughout the day—and you’ll never get a sugar crash or surge because of the way date sugar is slowly absorbed into the body. Launched in 2018, Split is the first-of-its-kind, side-by-side PB&J pack made with the best plant-based, simple, non-GMO ingredients for pure energy. Combining the amazing flavors of nut butter (peanut or almond) and fresh jam, the complete on-the-go food provides a quick meal of balanced proteins and carbohydrates for pre- or post-workout, travel, work, or school. From LA-based award-winning chef (Stella Barra and M Street Kitchen) and cycling enthusiast Jeff Mahin, restaurateur Christopher Meers, and elite performance nutritionist Dr. Philip Goglia, Split is made with only four to six ingredients and empowers everyone to honor the craving for something sweet and rich while making the most of their food. Bright Foods is a SoCal-based health food company that specializes in new-to-market, refrigerated whole food bars. They’re the first of their kind to combine fresh produce, nuts, and superfoods into a handheld snack bar that’s kept chilled—and can be eaten up to 24 hours out of the fridge. Certified organic, gluten-free, vegan, and non-GMO, each is made with whole vegetables and fruits (except for peels and pith)—never from the leftover pulp from juice—maximizing the amount of fiber contained in each bite. Chia, coconut, and dried oranges hold the bars together (rendering the need for stabilizers, gelling agents or gums obsolete) and added superfoods provide an extra dose of nutrition. Lookout for their fourth and newest flavor, sweet potato blueberry orange with ashwagandha, to hit shelves this Spring. “I’ll be totally honest; I didn’t think it would be as hard as it was. Being an entrepreneur is the hardest job. It’s 24/7 grunt work,” says Sarah Michelle Gellar of the journey she’s taken beyond the big screen and into the business world. Having built a successful career portraying some of the biggest cultural icons of the 90s, the Emmy award winner and Golden Globe nominee made her foray into the startup arena in 2015 as co-founder of the baking kit and mix company, Foodstirs. While her celebrity status opened doors and helped put the brand on the map in its early days, carving out a successful second act came with big challenges for the A-list actress, despite her fame. Often dismissed by potential investors and industry insiders who questioned her credibility, the former Buffy the Vampire Slayer star needed to first convince skeptics that she brought more than a bold-faced name to the venture. “I probably got meetings with big VCs that other people wouldn’t get right off the bat. But it was a novelty. It was, ‘Let’s see what Buffy has to say.’ But there was no real interest, and it was really about us having to sell once in that meeting,” she says. Gellar credits the hard-won lessons learned in building a successful Hollywood career as her greatest entrepreneurial advantage in rising above rejection and proving those critics wrong. “ You’re always going to get the ‘no’s, no matter what job you’re in. That was the one thing that the entertainment industry prepared me for,” she says. Gellar’s entrepreneurial ambitions were inspired by a desire to channel her creativity and leverage her platform outside of Tinseltown. “I’ve always wanted to do something else, but I didn’t know what that space was. I didn’t know where my talents were, because I had only ever worked in one industry,” she says. Seeing a mass-market void in baking brands dedicated to modern, health-minded consumers, she teamed up with fellow co-founders Galit Laibow and Greg Fleishman to transform the traditional grocery store aisle. Foodstirs was their organic, non-GMO solve that offered a reimagined baking process and a family-friendly kitchen experience that motherhood had made her crave. I recently sat down with Gellar to discuss her journey from Buffy to businesswoman, the challenges presented by fame, and her best advice to aspiring founders. Edited highlights below. (CNN Business) The rigid policies of many workplaces can be hard on families — especially those with young children. But an organic baby food company aims to change that. Once Upon a Farm, which makes organic cold-pressed baby food, apple sauces and smoothies, offers its employees at least 12 weeks of paid family leave, unlimited vacation days and flexible telecommuting schedules. The company was started in 2015 by entrepreneurs Cassandra Curtis and Ari Raz. Last year, John Foraker, the former CEO of organic food company Annie’s Homegrown joined as CEO, and actress Jennifer Garner joined as chief brand officer. Foraker was at Annie’s for almost two decades, and is taking the lessons he learned along the way with him to Once Upon a Farm. One of his biggest regrets at Annie’s, for example, was not offering a paid family leave plan. Creating a paid family leave policy was a top priority for the founders at Once Upon a Farm. New parents get 12 weeks of paid leave, and new mothers get an additional six weeks for recovery. The company also supports the FAMILY Act. That proposed legislation would create a nationwide insurance program that offers up to 12 weeks of leave for family and medical purposes with partial pay. “We want to lead there and be out on the front edge of that. We think there should be legislation around that, and we think there’s a lot of bipartisan support for it. We want to be a company that stands for that,” said Foraker. Foraker knew early on that Once Upon a Farm needed a clear corporate mission. “At Annie’s … I didn’t define our mission and values early enough,” he said. Despite joining the company in 1998, it wasn’t until the mid-2000s when he created a clear mission. “Then our business [at Annie’s] took off because it helped us really define who we would hire and how we would act with each other,” he said. In addition, they also laid out the company’s core values: honesty, integrity, transparency and respect. “We have a really strong set of core values and we hire people that we know will represent those values,” Foraker said. The company itself is still in its infancy with 38 full-time employees — around 80% of them female. Giving workers flexibility with their schedules and time off has also helped the company create a better sense of work-life balance for its employees. “In order to be a successful working woman and have any semblance of balance, you need to have a certain amount of flexibility and a huge amount of trust,” said Garner. The company also has an unlimited vacation policy and flexible telecommuting schedules. “We’re just a performance culture. We say: ‘Here’s what we want to do. We want to do it together. I trust you as a person to make decisions about how you use your time,'” Foraker said. The company’s products are sold in more 8,500 locations, including Target, Walmart, Whole Foods and Kroger stores. While making fresh and nutritious food accessible to everyone is part of the mission, the pouches can sell for around $3 each. The company said it’s working to create a line of specific products with a lower price point that would be eligible for some government-assisted food programs. “We do care about these women and these moms and these kids and we believe that their kids have just as much of a right for this fresh, healthy start as our kids do,” said Garner. CAVU Venture Partners has led the $20 million Series B for Once Upon a Farm, which sells organic, cold-pressed baby food in 8,500 grocery stores in the U.S. The Berkeley-based startup was originally founded in 2015 by serial entrepreneurs Cassandra Curtis and Ari Raz. Today, it lists actress Jennifer Garner and former General Mills president John Foraker as co-founders, too. Both Garner and Foraker — who was the chief executive officer of the popular organic mac & cheese brand Annie’s Homegrown for more than a decade — joined the company in September 2017. Foraker had been an angel investor in Once Upon a Farm and, after conversations with Garner, decided to accept the role of CEO. Garner, widely known for her roles in Alias, 13 Going on 30 and the upcoming HBO original series Camping, was already somewhat of a Once Upon a Farm evangelist when she signed on as chief brand officer a little over a year ago. Foraker told TechCrunch that since he and Garner joined, the business has grown 10x. Last fall, the company’s products were for sale in 300 stores; today, as mentioned, they are available in more than 8,000. “Because she has global celebrity, the power of that, she can really help us get the message out and help lots of moms and dads find [Once Upon a Farm],” Foraker said. Once Upon a Farm sells smoothies and applesauce for kids up to age 12 directly to consumers through its online marketplace and in stores. Pouches of its signature baby food, smoothies and applesauce are $2.99 each. As part of the deal, CAVU’s co-founder and managing partner Brett Thomas, along with CAVU investor Jared Jacobs, will join the company’s board. S2G Ventures and Beechwood Capital also participated in the round for the startup, which raised a $4 million Series A in June 2017. The company plans to use the funds to expand its direct to consumer business, partner with more U.S. grocers and build out a wider assortment of baby products. SANTA MONICA, Calif., Sept. 17, 2018 /PRNewswire/ — Foodstirs Modern Baking, the most sustainable organic baking mix brand modernizing the industry, proudly announces that all three of its bake-your-own Organic chewy oat bar mixes have been certified by The Detox Project as Glyphosate Residue-Free, making Foodstirs the only nationally distributed organic food brand to receive this trailblazing certification. Additionally, the remaining portfolio of Foodstirs products are currently being tested to ensure their entire line of products receive this groundbreaking certification. Glyphosate acts as the main ingredient in Monsanto’s Roundup weed killer and the most heavily used pesticide in the world. Despite being prohibited in organic production, glyphosate has made its way into the organic food supply, testing heavily in oat-based foods like oatmeal, granola, snack bars and breakfast cereals. As a probable human carcinogen according to the World Health Organization, glyphosate is on the cusp of becoming a house-hold name that consumers will want to seek more education around. Foodstirs felt a moral obligation to obtain the Glyphosate Residue-Free certification to give consumers peace of mind and transparency into its product line. With oats being the biggest offenders to glyphosate, Foodstirs made it their mission to have all three of their Organic Chewy Oat Bar Mixes certified by The Detox Project. Based in Santa Monica, CA, Foodstirs was co-founded by entrepreneurs Galit Laibow, Greg Fleishman and actress & author Sarah Michelle Gellar behind the sole purpose of helping people connect through the power of Elevated Comfort Food. Foodstirs is starting with the baking category and our organic/non-GMO products that are superior on every level. Everything we make is based on four core principles: ultra-sustainability, ease of preparation, accessibly priced and delicious from-scratch taste. And, we are committed to direct-sourcing regenerative ingredients that utilize planet-healing agricultural methods like Biodynamic® and identity-preserved. Foodstirs is going beyond classic baking formats with the launches of the first ever Organic Minute Mug Cakes and Bake Your Own Organic Chewy Oat Bars and Organic Protein Bars (a Top 5 New Item at 2018 Natural Products Expo West). Our products are sold nationwide online and in over 15,000 retail stores that include Starbucks, Whole Foods Market, Sprouts, Target, Kroger, Safeway, Amazon and many more. For more information, please visit www.Foodstirs.com, like us on Facebook, or follow us on Instagram, Twitter or Pinterest. The Detox Project is a research and certification platform that encourages transparency in the food and supplement industries on the subject of toxic chemicals. In addition to promoting unique testing technologies that enable users to find out what levels of toxic chemicals are in your body and food, The Detox Project has been involved in a number of groundbreaking studies over the last few years that include research on the world’s most used herbicide, glyphosate. The Detox Project continues to push for the use of alternatives to toxic chemicals in parks, gardens and on farms globally. Berry’s mission—and that of the company he co-founded, Fishpeople—is to change an industry that in many ways remains the Wild West, with murky supply chains and few worker protections. 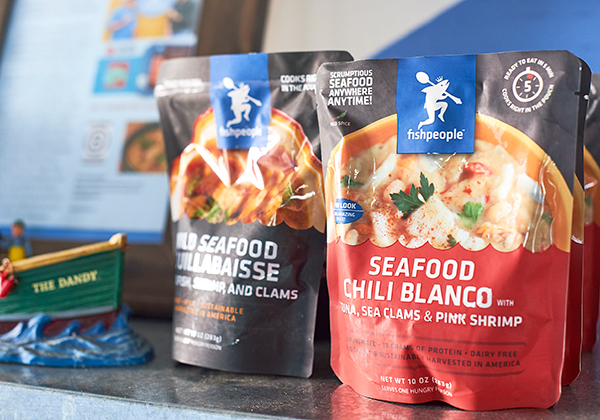 The company launched in 2012, offering its seafood-based soups in 30 stores. Today, more than 6,000 stores sell its product lines, which have expanded to include frozen seafood meals, pre-cooked salmon and salmon jerky. The company expects to double its revenue this year, but Berry and others among Fishpeople’s leadership insist that the ultimate goal extends beyond financial metrics. “The whole reason that we set about to do what we did was we wanted a different relationship with the sea, and we wanted a different relationship with the communities that depend on the sea,” Berry says. Berry, 63, joined the seafood frontline when he was just 13 years old. On his family’s fishing vessel, he trolled for salmon in the Graveyard of the Pacific—an area at the mouth of the Columbia River that has wrecked hundreds of ships. At 16, he became a ship captain. After two years (and losing two boats at sea), he moved to the Caribbean, then returned to the states and launched a career away from the water. He founded two companies in the apparel industry, sold them in 2006 and moved back to the Oregon coast. Soon after relocating, he was asked for input on a potential marine reserve in the state, which got him thinking about ocean life within supply chains. Berry discovered the United States imports about 91 percent of its seafood. He learned that a “significant portion” of that seafood is caught in U.S. waters, shipped overseas for processing, and then returned to the United States, according to the National Oceanic and Atmospheric Administration. That struck Berry as inefficient and potentially harmful to the environment and U.S. jobs. In 2010, at a sustainability-focused roundtable with Oregon’s governor, Berry met Michael “Kipp” Baratoff, who co-founded a private equity firm focused on sustainable real asset investing with over $2 billion of assets under management. 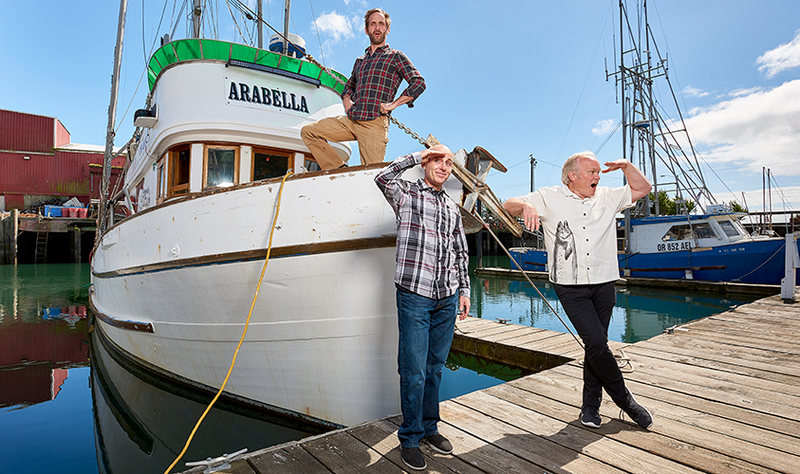 Two years later, Berry and Baratoff, 41, banded together to launch Fishpeople. Berry and Baratoff had lofty goals for Fishpeople and they needed capital to achieve them. The company wanted to forge strong relationships with fishing captains, but building landings that their boats could use exclusively would cost millions of dollars. There were other sizable expenses, too, such as building a processing plant and supporting product innovation. The information linked to the traceability code—including where the fish was caught, comments from the captain and the name of the boat—is intended to gain consumers’ trust. The seafood industry lost a fair bit of that in 2016, when a study from international nonprofit Oceana found that of 25,000 seafood samples tested worldwide, 1 in 5 were mislabeled as a different type of fish. Using traceability to differentiate itself in a crowded market is a “smart move” for Fishpeople, according to Ignacio Kleiman, managing partner and founding member of Antarctica Advisors, an investment bank focused on the seafood industry. “There’s a handful of large players, but there are many, many midsize players. It’s a pretty competitive industry,” he says. In 2017, Advantage led a $12 million round of Series B funding for Fishpeople. To persuade other potential investors, Mayoras sent out a traceability code and urged them to plug it into Fishpeople’s site. He credits the code with helping entice investors to meet the company’s team, which ultimately bore fruit. “They all ended up doing the deal,” he says. To make food traceability meaningful, Fishpeople needs reliable, high-quality sources for its product. That requires the cowboys and cowgirls of the ocean. 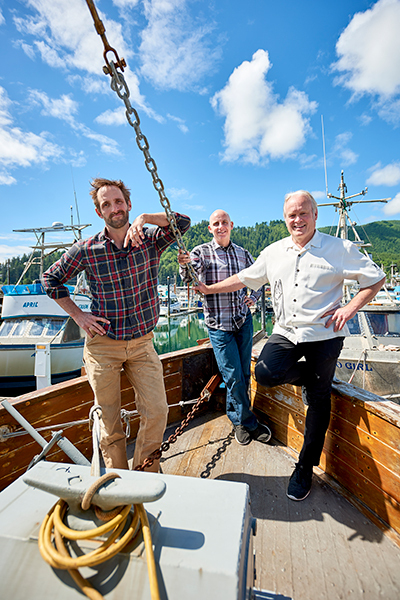 Advantage’s investment helped pay for the three landings in small communities where Fishpeople’s independent fishermen dock: Ilwaco, Washington (population 929); Garibaldi, Oregon (population 801); and St. Mary’s, Alaska (population 550), its northern-most landing. The landings are used exclusively by boats that provide seafood for the company. Captains want to get back on the water immediately, so Fishpeople treats boat docking like an Indy 500 pit stop—the landings’ general managers stay in contact with the captain before the boat heads in to ensure minimal time on the dock. While at the landing, boat crews have access to hot meals, groceries and plenty of washers and dryers to do laundry. John Tinker Jr., a longtime fisherman who works along the Yukon River in Alaska, says he appreciates the company’s approach. “I’ve been fishing since I can remember—I would say I probably started when I was 10,” says the 42-year-old, who operates from two open skiffs, Winter and Skuzzi, both 24 feet long and 7 feet wide. 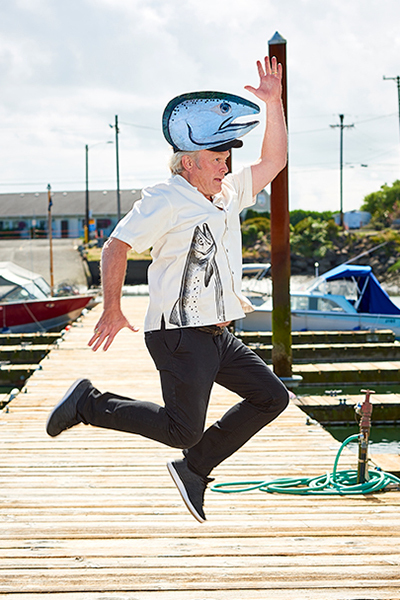 Tinker began selling to Fishpeople in 2017 and the company, which has bought more than 8,000 pounds of coho and keta salmon from him, has become his preferred buyer. He only sells elsewhere when Fishpeople reaches its purchasing capacity. Fishpeople’s landing is close to Tinker’s home—without it, he probably would need to take a two-hour boat ride down the river to sell his haul. That proximity is a draw for him, as is the company’s receptiveness to feedback. That philosophy extends to Fishpeople’s employees, too. Before Plasse joined the company, he toured its processing plant in Toledo, Oregon, a city with about 3,500 residents. The plant’s nine employees, along with the full-time employees who manage the landings, receive health insurance and are paid above the local minimum wage, benefits that Berry says aren’t typical in the industry. Unlike chicken or pork, U.S. seafood consumption hasn’t increased much over the years. Cost is one factor—fish is a more difficult protein to source—but so is product innovation. “Compared to other sectors of the food industry, the seafood industry is a little behind,” says Antarctica Advisors’ Kleiman. Fishpeople has tried to address the intimidation factor with easy-to-prepare products. The company’s frozen seafood kit, introduced in 2014, includes two filets, ingredients to add before baking (like Meyer lemon and fresh herb panko), a foil pan and tin foil, and a topping (such as parmesan cheese) to add before serving. The kit also comes with instructions that promise a meal in 20 minutes. The meal kits have played a key role in driving Fishpeople’s revenue, which tripled from 2015 to 2017. Part of the revenue growth came as the company’s soups expanded from specialty stores to large chains such as Kroger and online retailers such as Amazon Fresh and Thrive Market, but much of it derived from club stores like Sam’s Club, which picked up the frozen seafood kit in 2016. By year-end, Fishpeople plans to introduce two more products: salmon jerky in four flavors (including ancho chile and lime) and pre-cooked salmon chunks for the refrigerated grocery section, for use in salads or pasta. For a retailer like Whole Foods, which has stocked Fishpeople’s soups since 2012, the company’s supply chain was a powerful draw. Before Whole Foods began carrying the meal kits, it requested several changes, including a box with smaller dimensions to better fit the limited real estate on its store shelves. CEO Plasse says that kind of buyer feedback strengthens the company’s innovation efforts. And unlike in its early days, Fishpeople now has buyers who want to provide feedback even before a product goes to market. About 65 percent of Fishpeople’s revenue today comes from wholesale offerings, including fish sold at Whole Foods’ seafood counter. But Mayoras expects the majority of sales to shift in the coming years to consumer packaged goods, which have better margins. That’s likely to improve the bottom line, but financial metrics are just one benchmark of the company’s success. The overarching goal is improved treatment of fish and the people who pull them out of the water and process them. That means more sustainable practices for fishing and a better livelihood for seafood industry workers—and not just the ones at Fishpeople. A Popsicle is an indulgence. It’s also a startup success story, if you can believe it. Dream Pops are plant-based, non-dairy, gluten and soy free. And they apparently taste as good as ice cream and look good on Instagram. They’re not cheap, at least in bulk. A tray of 10, shipped frozen to your doorstep in a couple of days, will set you back $45. But if you can find one at a Starbucks, and you’re in Los Angeles or Portland, Oregon, the price is a little more palpable at $3.95 each. These don’t look like regular Popsicles (a trademark for flavored ice frozen around a stick). Dream Pops are a proprietary shape that comes from a 3-D printed mold. Besides lacking dairy, gluten and soy, they’re also said to be free of artificial flavors, dyes, gum and corn syrup. What’s left? Each pop is less than 100 calories, sweetened with coconut blossom sugar and blended with lush ingredients. And the flavors — with names like Chocolate Lion, Berry Dreams, Mango Rosemary, Coconut Latte and Vanilla Matcha — are a little more advanced than what you might find in the frozen food section of your local supermarket. The Dream Pops team includes two Davids. They’re CEO and Cofounder David Greenfeld, a former investment banking associate, and “Chief Pop Hustler” and CoFounder David Cohen, previously a business development associate for Los Angeles’ first bagel truck. Why did they choose to go with Popsicles, of all things? The pops were created by Michelin-starred chef Juan Amador and food scientist David Marx. As noted by Entrepreneur, Dream Pops projects it will generate $500,000 in revenue by year’s end, and they’d done it largely without selling to consumers. They’ve gone business-to-business instead, partnering with big brands like Beats by Dre (for a Coachella party) and earning up to $50,000 per event. It makes sense: Try the treat of the elite! The company compares the taste of these ‘sicles to ice cream. What do you think about these? Delicious on their own and maybe perfect as gifts? Greenfeld says online orders have been pouring in since Dream Pops went nationwide on July 15, National Ice Cream Day. “We are on track to double our sales in 2018 and e-commerce is experiencing strong month-over-month growth,” he said. In case you’re worried about the carbon footprint of a $45 tray, the company uses a green packaging company for cold shipping called vericool.